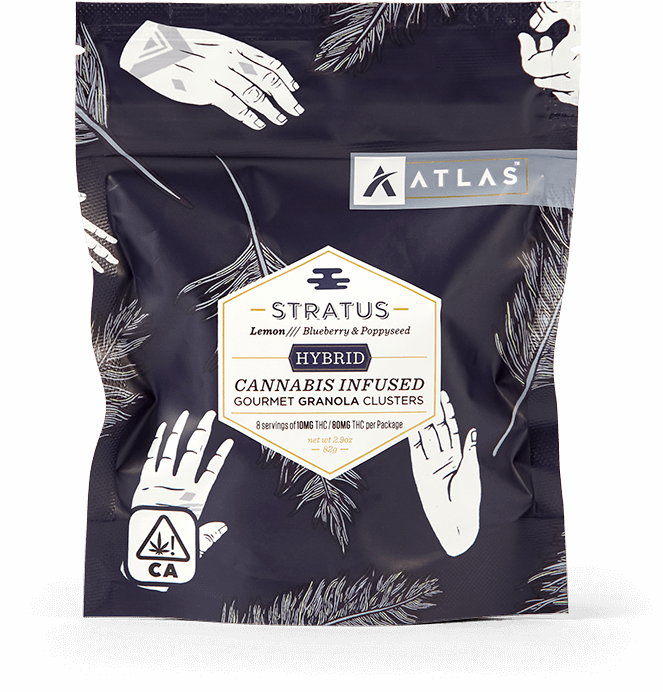 Oats, Honey, Brown Sugar, Dark Chocolate (Cacao Beans, Pure Cane Sugar, Cocoa Butter, Soy Lecithin, Vanilla Beans), Sorghum, Pecans, Hazelnuts, Currants, Cannabis Infused Coconut Oil, Salt, Cinnamon. MANUFACTURED IN A FACILITY THAT PROCESSES: Soy, Wheat, Tree Nuts, and Seeds. 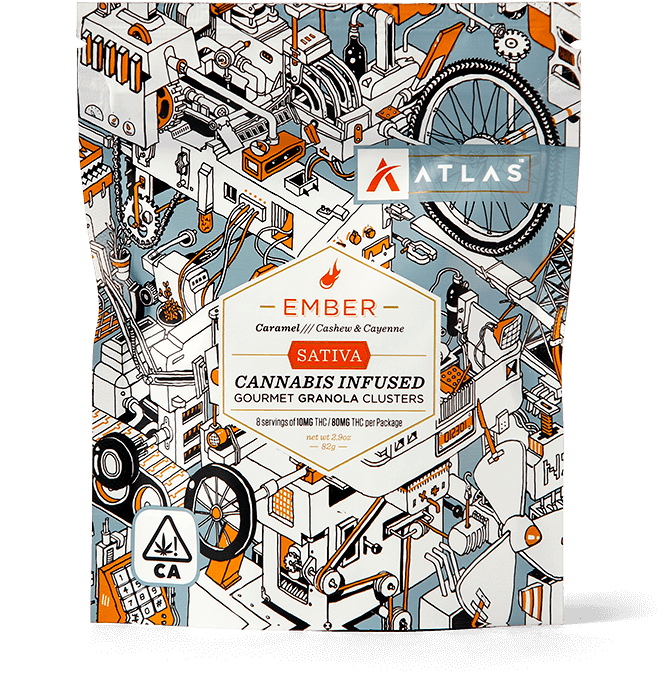 This flavor represents feelings of evenness, nurturing, and healing. 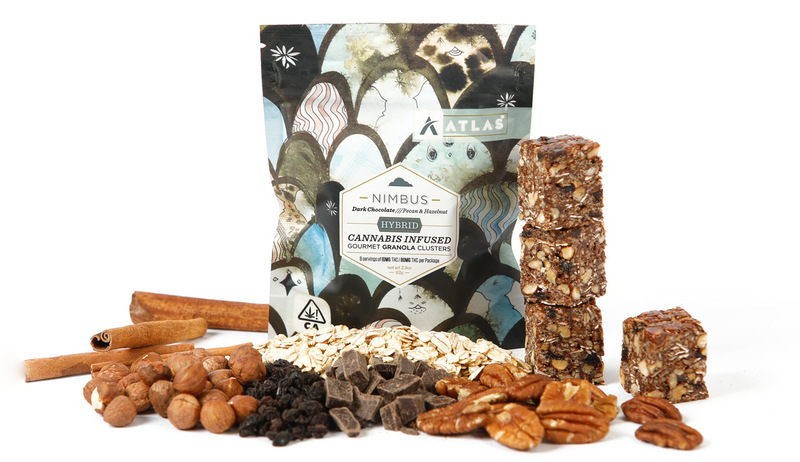 Nimbus is infused with hybrids which utilize a balance of both indica and sativa predominant strains. 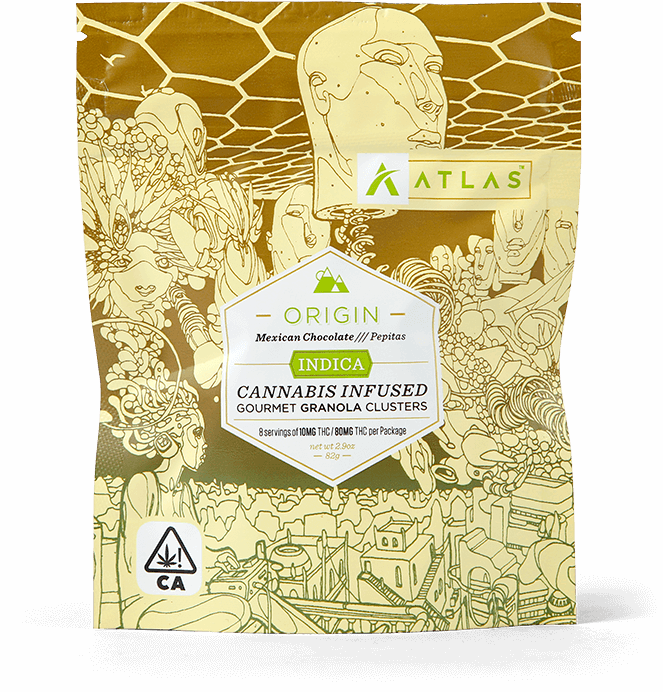 These products are focused on offering a more leveled experience by providing the functional, uplifting effects of sativa and the relaxing, calming, body high of indica. My work is a release – akin to meditation, a relief from the chaos of our day to day lives. Over the last two years, houses and architecture have become the zenith of my work. They are sanctuaries…somewhere to catch up, take a breath, recharge. The world I portray is sometimes yours and mine and sometimes a more magical place – I call it future primitive. It is a potential path or maybe just a way to reconnect with more pure ideas of culture from our past. It is knowing empires crumble, but accepting the growth that emerges in the aftermath.